Join us for our Easter Celebration on Sunday, April 21. 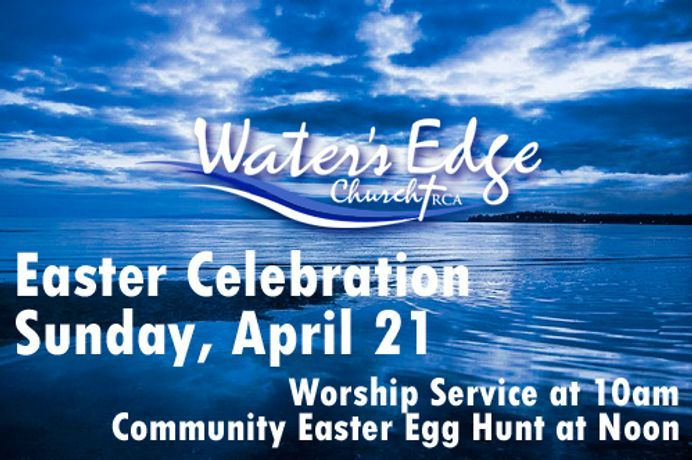 There will be a special Worship Service at 10am and a Community Easter Egg Hunt at Noon. We are a family that follows Christ in reaching out to and making a difference in the lives of those seeking God in Birch Bay and beyond. Welcome to Water's Edge where we hope that your visit will feel like spending time with loving family or best friends. we'd like to meet you and get to know you. Please visit with us!